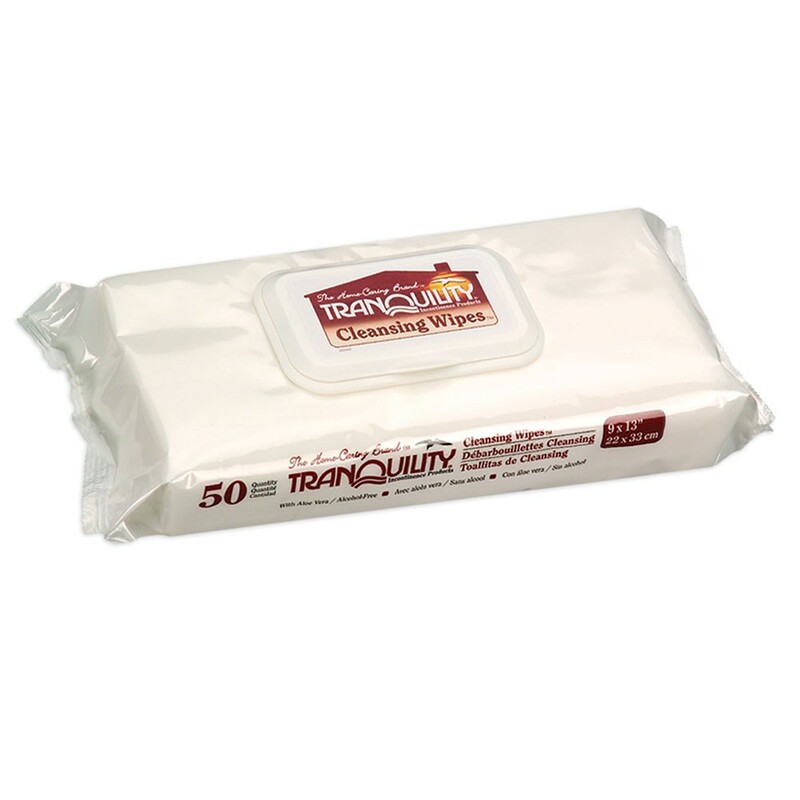 Tranquility Cleansing Wipes by Principle Business Enterprise are disposable wipes meant to gently clean all areas of the body and aid those with daily incontinence needs. The Disposable Wipes are made strong like cloth, but soft on all skin areas due to Aloe as an added moisturizer. 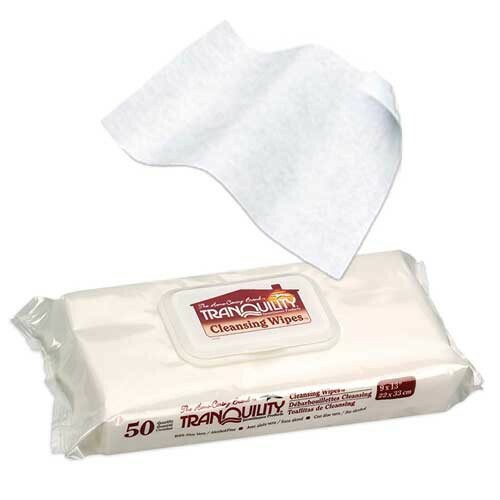 These wipes are stored in a handy travel pack that is dispensed through a flip-top opening that snaps shut to maintain the wipes' moisture inside. They come 50 wipes per pack and each wipe opens large for greater area cleansing. These wipes can be used for single-area use as well as for full-body cleaning -- it takes as little as eight wipes if used for full-body bathing. There's no worries for those with latex sensitivities, and Tranquility wipes will not dry out skin after repeated use as they are alcohol-free. They are heatable -- see instructions. Wipes large areas making the job shorter. Good for single area use and full-body bathing. Flip-top lid dispenses easy without drying remaining wipes. See the following link for details on bathing instructions. when I compared the prizes for single vs. multiple packs, the single pack of 50 ct. is less expensive than the multiple pack. Please give me the reason. Prices are set by the manufacturer that we don't have control over. Prices are always subject to change; however. Very good product, the cloths are large and very moist. They smell good too. I will be ordering more when I run out of these. I feel really clean and refreshed after having a sponge bath.